With the recent upgrades to Moodle will be coming a new look as well. 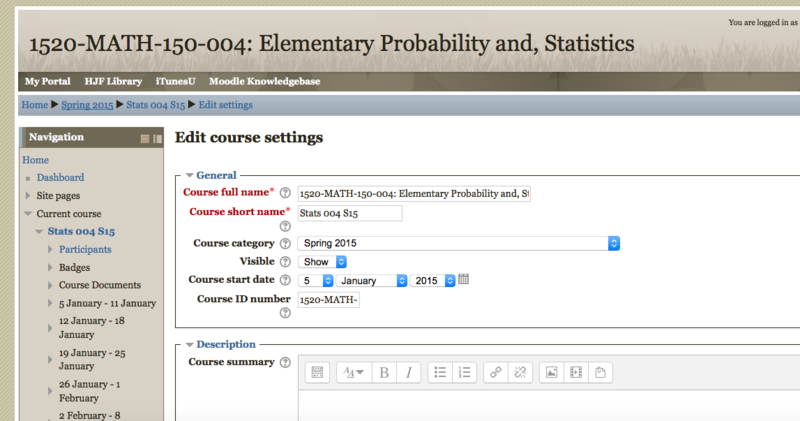 Previously, Morningside used a default theme called “Formal White.” We have learned that this theme does not play well with the new upgrade to Moodle. Because of this we will be changing the default theme to “More.” This will result in your Moodle pages looking a bit different and possibly some of your blocks shifting position. We have decided to do this because there are a few important benefits that come with this change. Sometime today (Monday, Sept 14) this change will happen so please be aware of this. If you do not use the default theme, your page should stay as is. This should only affect those that keep their Moodle pages on the default theme. I have attached some screenshots of my Moodle sandbox course showing the Formal White (FW) theme, which is our current default, the Clean (C) theme, and the More (M) theme. My thanks to both Sherry Swan and Shaun Meyer for helping with this transition and providing the information included in this blog post. This entry was posted in Moodle Basics, Uncategorized on September 11, 2015 by christopherson.